Whether it is your mother, grandmother, mother-in-law, or a just a lady that you love, treat her to something special this Mother's Day. Consider a plant instead of flowers. Not only will it last longer, if your special lady has a garden, she can plant it and enjoy it for many months or even years to come. Give your lady a natural boost with Odacité Acai Rose Facial Concentrate. Get her glowy and firm with this ultra rich superfoods serum from one of TCR's favorite skin care lines. Keep her in fashion and well accessorized with a luxurious and light scarf for spring from mom friendly Eileen Fisher . Most mom's love to make pasta. Gift her a subscription to Sfoglini Premium Pasta of the Month Club. Mom will receive artisanal organic pasta made in NYC with ingredients sourced from local purveyors. If you are nearby, treat her to a homemade dinner with one of their unique seasonal flavors.....nettle fusilli anyone? Let her downward dog fashionably with a pair of sari style yoga pants by Weargrace in a rich cobalt blue. Hand cut, hand dried, and California-made, take your mother's entertaining to the next level with this walnut serving board from our friends at Food52. Leave mom smelling luscious with Saipua rosemary and mint hand-made soap from one of TCR's favorite Brooklyn-based soap companies. 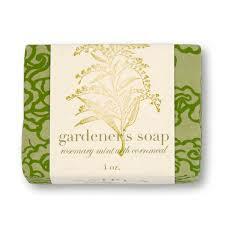 This delicious smelling soap is formatted for gardeners. Dirt removing and moisturizing can be had in one beautifully packaged bar. We love Heath Ceramics, and we know mom will too! This multi-stem vase in vibrant tangerine will, for sure, make her smile all year long. Gift mom a carefully curated selection of teas by Brooklyn-based Bellocq Tea Atelier. Pure and exceptional in quality, this collection offers mom the chance to sample Bellocq's most favorite blends. 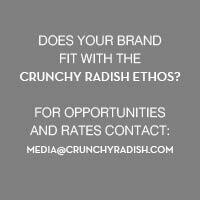 To all the special ladies out there, we here at the Crunchy Radish wish you a very Happy Mother's Day.